While it’s pretty clear that Star Wars – The Force Awakens was the big winner at Comic-Con 2015, the Princess Leia reveal overshadowed another iconic female character who’s returning to our screens soon. A new trailer for Batman v Superman: Dawn of Justice gave us our first look at the brand new big screen Wonder Woman (played by Gal Gadot) in action. I showed these images of Gal Gadot as Wonder Woman to my daughter (who has numerous items of Wonder Woman merchandise) and she had no idea who this was. However, she recognised Henry Cavill’s Superman and Ben Affleck’s Batman instantly. I think it’s the colours. When I showed her this image, she recognised it straight away. 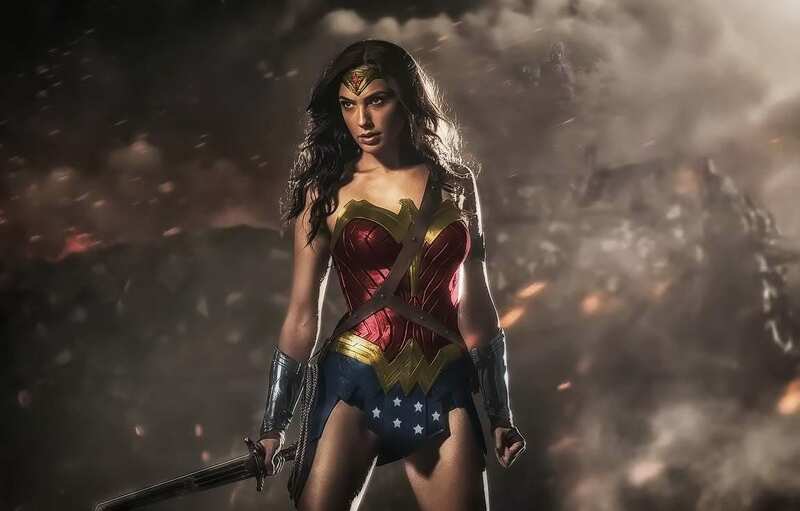 What do you think of this first look at Wonder Woman in Batman v Superman: Dawn of Justice? Does she look like Wonder Woman to you? Next Next post: Win This Fantastic Rockabilly Lottie Doll!